Hero Homes is the luxurious presentation by the Hero Realty Private Limited, one of the most reputed business groups in India. The company has been working to bring the state-of-the-art living with the cutting-edge innovations and customer-centric approach. To maintain the trust and to nurture the care, Hero Homes are offering best, modern and vibrant housing solutions at affordable pricing. At Hero Homes Gurgaon, best of the real estate location is offered to the people to ease their commotion and transportation without compromising the standard of the living. With emerging as the top developers in India, Hero Homes are able to serve the people as per their expectations. Hero Homes stand on the 4 pillars- Creativity, Fitness, Sustainability, and Communities to offer the unmatched quality and integrated innovations. It is one of the upcoming residential projects in Gurgaon located at sector 104, Dwarka Expressway. It has become the landmark project in Gurugram. It is surrounded by the adequate greenery through the parks and natural scenic view to offer the high level of comfort to the end users. Hero Homes will be known as the renowned name in the real estate industry for its quality and trust. The whole residential projects are buildup under the standard guidelines and government policy to delivery more faith in the mind of end-users. 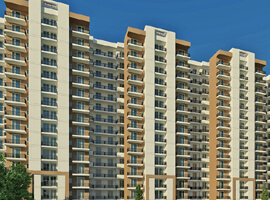 The high rise residential building is spread over the huge acres of green land with having great connectivity. This luxury residential property offers a great view of Dwarka Expressway and the other residential & commercial projects. Hero Homes Projects are designed and built while keeping in mind the mixture of a traditional and modern aspect of people & growing India. It is filled with all the modern amenities searched and proffered by the People such as ATM, Schools, College, Medical Facilities, banks and Grocery stores nearby. If we talk about the upcoming master plan, metro lines facilities will help you connected with the nearest cities like Faridabad, Delhi, Noida, Ghaziabad, Sohna, Pataudi, Manesar and many more rural & urban areas. 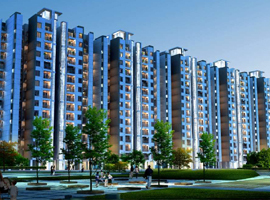 Hero Homes in Gurgaon offers quality and secured living with having adequate spacious rooms and modular kitchen. The project is a perfect destination for the families. The project will offer a rich living & rich design experience due to high quarry exterior and interior infrastructure. Explore the Hero Home & its traditional aspects by visiting the projects. Nothing comes under affordable if we talk about the real estate, but Hero Homes is designed to offer ample facilities and natural surrounding at pocket-friendly pricing. The whole concept is designed so as to enable the middle-class family to have their own homes. The home will resemble a dream home with the loan facility. Hero Homes at Sector 104, Dwarka Expressway Gurugram offers the premium lifestyle which is worth considering. The project will surely fulfill the demand of the people by offering the maximum facilities. Hero Homes Apartments are luxurious flats equipped with dedicated equipment, semi-furnished rooms, modular kitchen and modern interiors to delight your living here. Hero Homes is surrounded by the luxurious new properties in Gurgaon such as ATS Triumph, Godrej Summit, Puri Emerald Bay, One Indiabulls and commercial ventures like Ansal Town Walk, Indiabulls Corporate. The residential project comes with the option of 2 BHK & 3 BHK to comfort the family members. The modern amenities include Gym, Indoor & outdoor gaming, security via CCTV Surveillance, Smooth Lift services, modern clubhouses, parks, jogging tracks, landscaped garden, Sewage Systems and much more. Have the perfect combination of functional expertise and great living under the creative roofs. Its modular infrastructure will surely win the hearts of the family members and the guests. Own your dream home the peaceful location which is far away from the pollution and city noises. Get a quote today only by visiting us or calling at the mentioned numbers and book your dream home today only! !